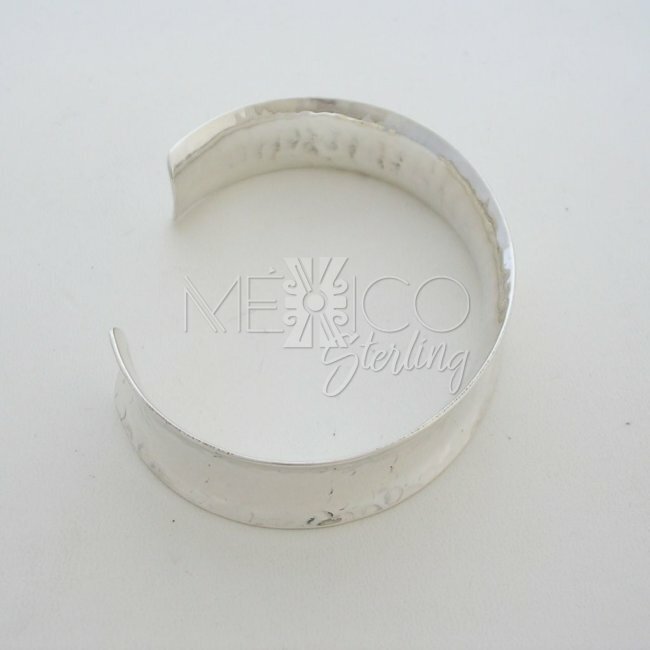 Dimensions: W:5/8" Inside Circumference : 7"
Very simple and modest design that doesn't carry striking features, but it still takes your attention right away and makes a perfect piece for a clean casual look. 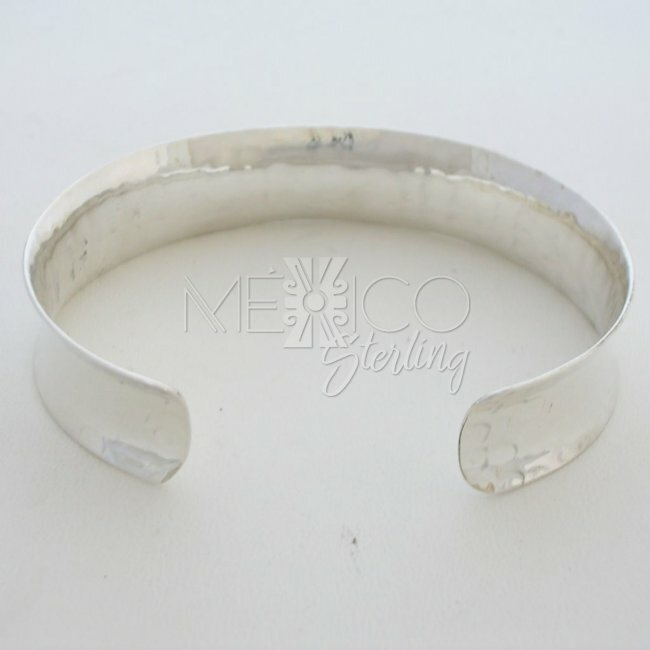 Its features, a concave shape and a hammered silver surface that reflects light nicely. 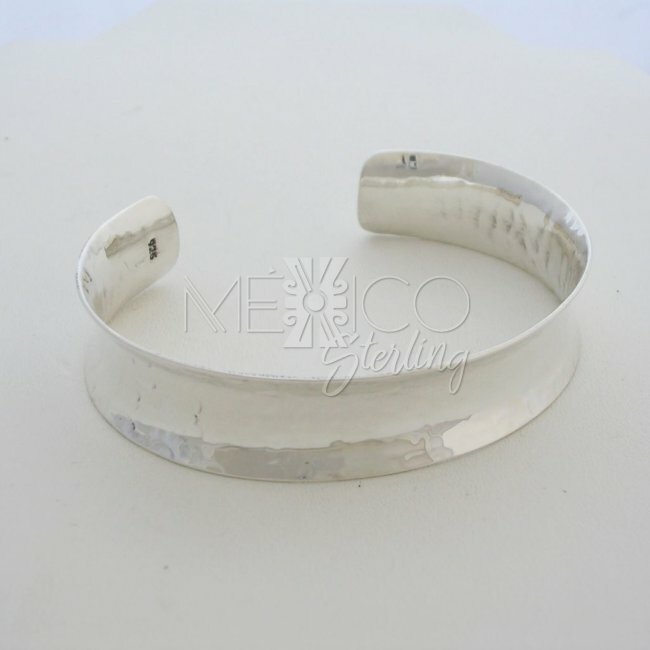 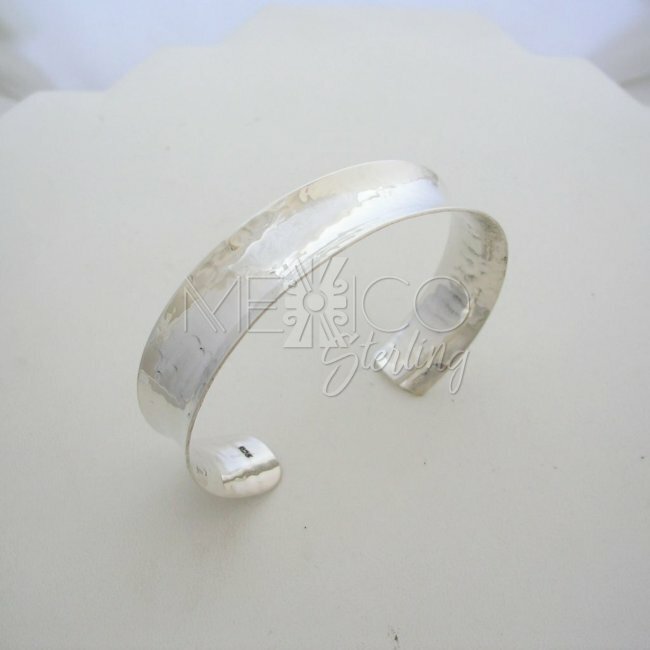 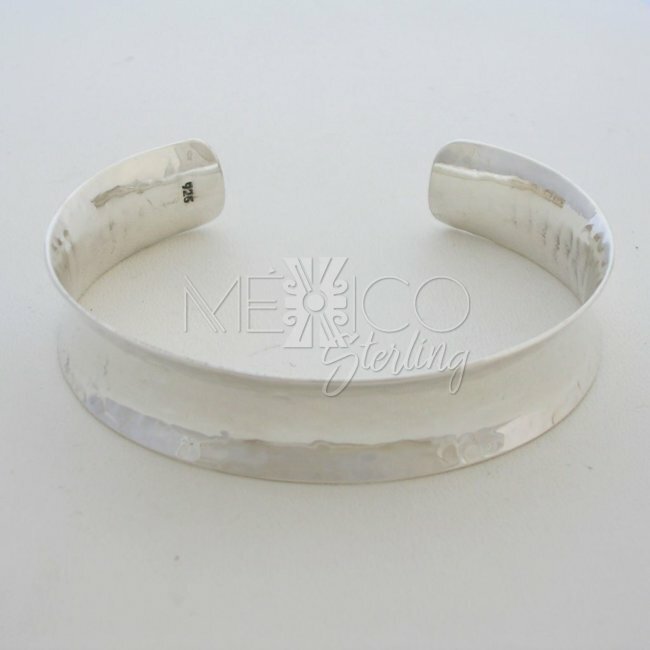 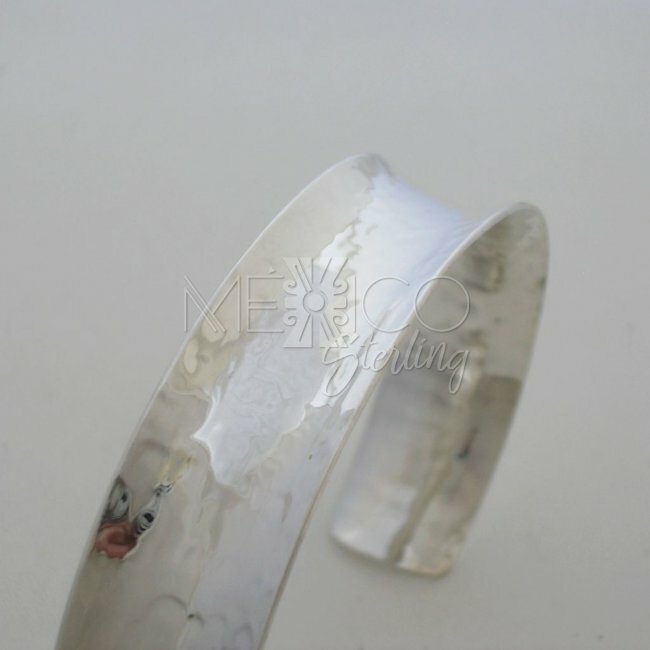 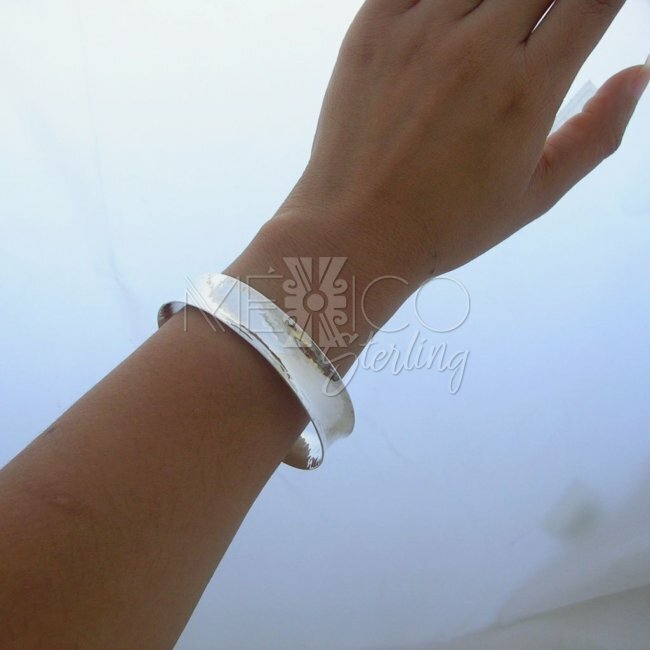 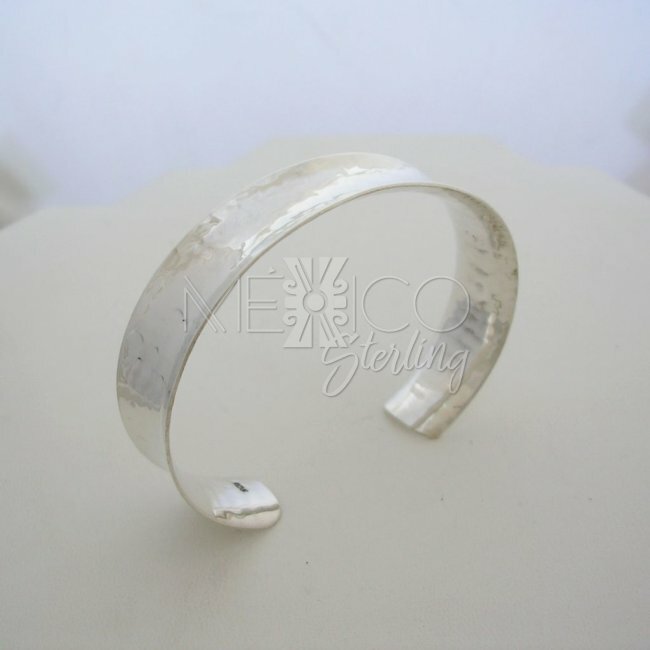 It is also a handmade silver cuff and substantial in weight for its size and built. 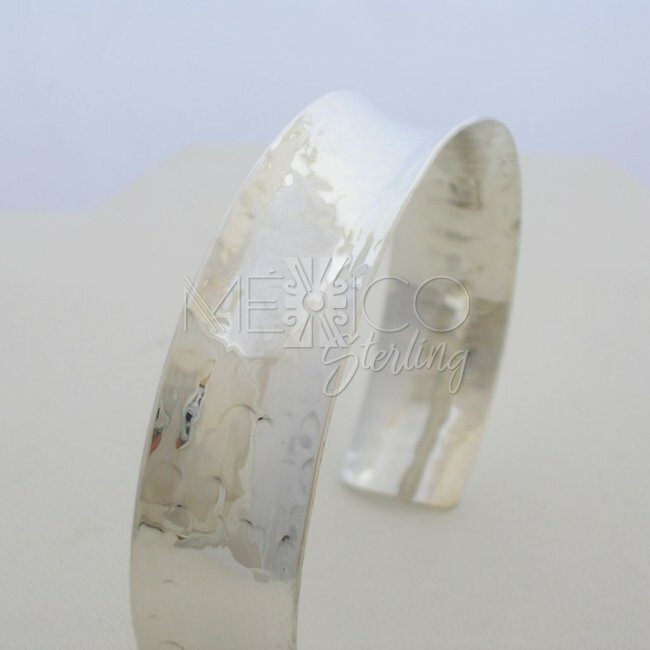 Not a tinny piece of tin.